Two of the men arrested by Maharashtra ATS are allegedly closely associated with the Sanatan Sanstha and Hindu Janajagruti Samiti. 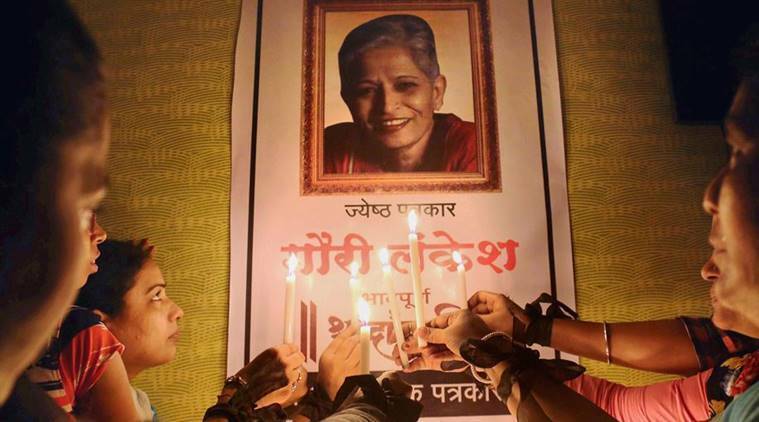 INFORMATION PASSED on by a Special Investigation Team, which is probing the murder of journalist and activist Gauri Lankesh in Bengaluru last year, played a key role in the arrests in Maharashtra Friday of three men allegedly affiliated to radical Hindu groups, sources told The Indian Express. 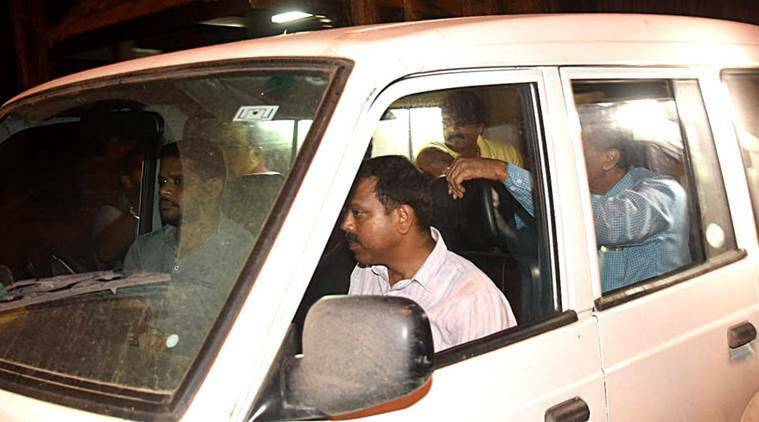 The SIT of Karnataka Police passed on the information to officers involved in anti-terrorism investigations in Maharashtra, which led to the arrests of Vaibhav Raut (40), Sudhanwa Gondhalekar (39) and Sharad Kasalkar (25), sources said. The SIT had identified dozens of individuals who were allegedly inducted into radical Hindutva in Karnataka, Maharashtra, Goa and other parts of the country through the analysis of diaries and phones of key suspects who were arrested in the Lankesh case, especially Amol Kale. The 37-year-old Kale, who allegedly planned the Lankesh murder, is a former Pune convenor of the Hindu Janajagruti Samiti (HJS), an affiliate of the Sanatan Sanstha. Two of the men arrested by Maharashtra ATS — Raut and Gondhalekar — are allegedly closely associated with the Sanatan Sanstha and HJS, according to material available on the HJS and websites. Raut is the co-ordinator of Hindu Govansh Raksha Samiti and Gondhalekar a member of Shri Shivapratishthan Hindustan. According to reports on the HJS website, Raut, at whose home explosives and crude bombs were allegedly found Friday, addressed a press conference in 2016 where he stated that he had been regularly attending an annual convention called the Hindu Adhiveshan organised by the HJS and Sanatan Sanstha in Goa. “I am getting (an) opportunity to attend such (a) convention for the third time. The conventions are organized with discipline. Various attacks taking place against Hindu Dharma are presented before all pro-Hindu organizations through the medium of such convention(s),” Raut was quoted as saying in a report on the website where he was pictured with senior HJS functionaries. Gondhalekar is also shown as being closely linked to activities of the HJS and Sanatan Sanstha on the websites of the two outfits. He was part of an HJS press conference in September 2016 where the murdered rationalist Narendra Dabholkar was accused of financial fraud, according to a report and photograph posted on the HJS website. In the Lankesh investigation, meanwhile, the SIT Thursday arrested a man linked to the Shiv Pratishtan Hindustan — Bharat Kurne, 37 — from Belagavi in north Karnataka for being a central player in the execution of the murder and for hosting arms training camps at his farm in Khanapur on the Karnataka-Maharashtra border. One of the key accused, Amit Degwekar, 38, has been identified as a resident of the Sanatan Ashram at Ramnathi in Ponda. Degwekar, who worked with a Sanstha publication ‘Sanatan Prabhat’, is accused of being a financier and key planner in the execution of the Lankesh murder. He was arrested in May. Of the 11 others arrested in the case, Kale and Sujeet Kumar are shown by the HJS website as being part of the outfit till around 2010-11. Another of the arrested, Suresh Kumar, is identified as a “seeker’’ in a 2008 article on the HJS website. All the other eight persons arrested in the case have been revealed to be either Sanstha sympathisers on social media or allegedly associated with Hindutva fringe groups known to be allied with the Sanstha and HJS such as Sri Ram Sena and Hindu Yuva Sena.